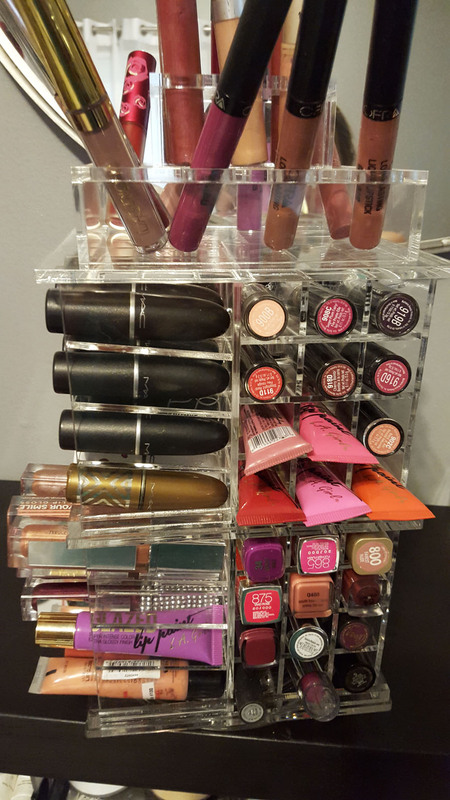 I'm all about makeup organization. When I find good storage solutions, i've got to share them with you all. 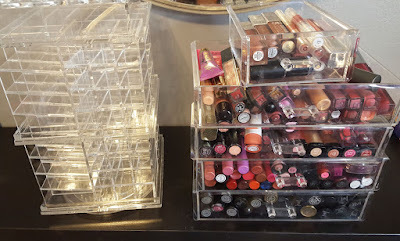 If you love lipsticks/glosses and have an abundance of them, you've got to check this out! I picked up the Lady Moss Clear Mega Lipstick tower when I was at PhamExpo in LA. It's definitely an investment but I think it's worth it. Here's the before shot. I currently have the majority of my lipsticks and glosses in a 6 drawer clear acrylic set. Honestly, I don't end up using most of the shades because they're stacked on top of one another. On the left you see the clear acrylic tower from Lady Moss. I was able to fit about 80% of the products from my original system into here. I love that it spins because I can easily get to each product. I put my most used liquid lipsticks on the top and then sorted my other products by category such as brand, drugstore, etc. I checked online and it looks like this item is on sale for $82.99 vs $99.99. I think I picked it up for about $75 at PhamExpo. You can find this product at www.ladymossbeauty.com Happy Shopping! WOW! Definitely in need of one of these haha! So handy, and the clear look looks good in any room. Loving your blog! Following on GFC, Twitter & bloglovin.